What a day! Up here in our little corner of the Italian alps it is usually quiet and peaceful with only the sound of cow bells and budding Julie Andrews impersonators running over the mountain pastures. Today, however, it was a different story. 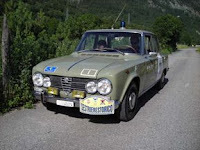 Firstly it was the annual "Sestrierestorico" classic car rally. Chambons plays host to a time keeping checkpoint. This gives us the benefit of seeing a collection of over 250 classic cars dating from vintage models to modern "classics". 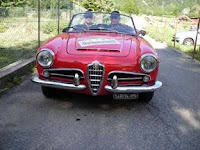 There is a heavy bias towards Italian cars (after all we are in Italy!) 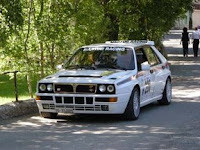 with Alfa Romeo and Lancia taking pride of place. The Italians always had a flair for sports car design. 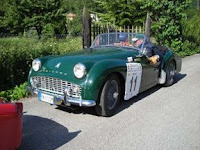 However, there were a good few British classics such as Triumph, Mini, and Morgan present. 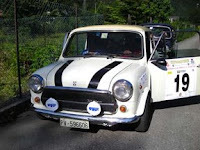 At one point it looked as if the Italian Police were still chasing Micheal Caine in his mini from the "Italian Job" .The event is organised by the Lancia Owners Club in Turin. After watching this it was time to go to Fenestrelle where there was a remembrance parade for the local Alpine regiment 3a Alpini. This is an old comrades remembrance for those who fought during WWII and in other fields of battle. This is supported by the magnificent organization known as the Alpi. A sort of Italian version of the British Legion combined with Rotary and Round Table ideologies. To be a member you have to have served in an Alpine Regiment. 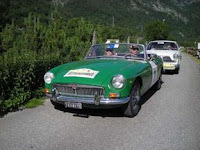 The group organises various events, civil protection in time of disaster and various alpine activities. This meant that Fenestrelle was buzzing with people and had a festive atmosphere. 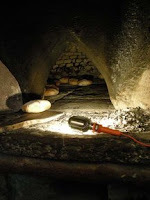 The third event and a very simple one was bread baking at the communal bread oven at Champs. Communal bread ovens were quite common in villages and towns up here in the mountains. They provided the focus of the village and in some ways played the role of "village Pub" where people could meet up and have a gossip. Very few of these ovens now survive. We are fortunate in that we have three or four that are still working in our area. 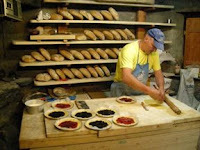 It was the turn of Champs to make the bread and some excellent local "Crostate" or tarts. It is a great way to get some traditionally made bread and support a local fund raising event to conserve a historically important building. Champs is a little village just outside Fenestrelle. It has an important place in history that is little known. During the time of Napoleon virtually all of western Europe was under French control directly or had "puppet" government that were pro Napoleon. Tiny little Champs however, defied the emperor and was one of the few places that was independent of Paris. They achieved this without going to war. All they did was to refuse to pay French Taxes and obey French law. Napoleon decided that Champs was so small that it was not worth bothering about and it was left to become it's own republic. Even to this day you will see the village sign which declares "Republike di Champs".